Welcome to Reception! Mrs Smith and Miss Ainsley are very proud of the hard working children in our Reception Class. 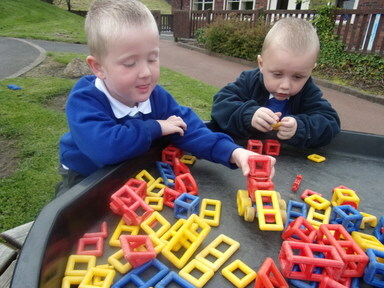 Reception is always a hive of activity with outdoor learning and creative activities for all areas of the curriculum. Mrs Hornsby, the teaching assistant in Reception, loves to support and challenge the children and encourages them to become confident and independent learners.